Special Summer Glow Serum That Makes Your Skin Glow In Just A Month: Summer has been started and in summer, our skin gets drier and dull due to the heat. To make the skin glow in all the summer season we have been brought a special summer glow serum. This summer glow serum is very effective so as to rejuvenate your skin and could give brilliant shine in your skin. If you use it day by day, it will moisturized your skin all around and will remove all pigmentation, dull spots, sun tan from your skin. Take a bowl and add 6 spoons of cucumber juice + 2 spoons of Aloe Vera Gel + 2 Vitamin E Capsules + 3 Spoon Of Rose Water+ 1 Spoon Of Olive Oil. Mix all the very well to get your summer special glow serum. Now your summer serum is ready. Use this summer special glow serum daily before going to sleep, spray this serum on your face and massage it gently for two to three minutes. Leave it to work for the whole night.Wash your face in the next morning. 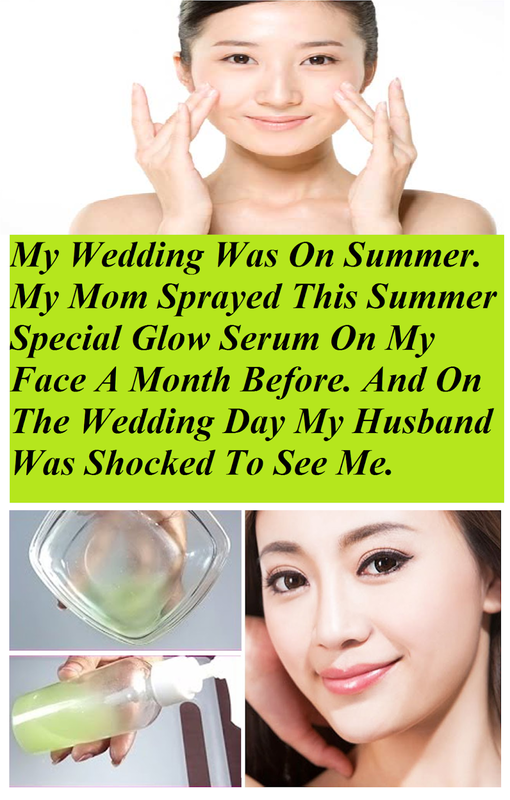 For best and amazing results, use this summer special glow serum daily, it will makes your face lovely and sparkling.